Opening the sub-regional conference dedicated to promoting progress in the implementation of Agenda 2030, Prime Minister Ana Brnabic described poverty eradication, better education and equal opportunities for all, healthy environment, economy boosting and institution strengthening as the most important goals of the Agenda. Head of the EU Delegation to Serbia Sem Fabrizi said that Agenda 2030 and implementation of SDGs were part and parcel of EU’s policy and crucial for the EU itself. “Main principle of the Agenda 2030 is leaving no one behind. It is about human rights, reducing inequality and promotion of inclusive society,” Prime Minister Brnabic said. She said that in 2015, Serbia established an Inter-ministerial Working Group in charge of the implementation of Agenda 2030. The Group is tasked with making sure that global SDGs are in line with specific needs of Serbia. It verifies priorities and progress toward their realization. Prime Minister added that the Government of Serbia was paying particular attention to education, economic development and GHG reduction, as well as to prevention of and adaption to climate change. “EU accession is crucial for further progress of Serbia and the region,” said Ana Brnabic and called on everyone to take part in shaping a better future. Head of the EU Delegation to Serbia Sem Fabrizi said Agenda 2030 and implementation of SDGs were part and parcel of the EU’s policy and crucial for the EU itself. “We have been monitoring the implementation of SDGs in the EU since 2015 and we are certain that making progress in their realisation would eventually lead to reaching our own general goals,” Fabrizi said and added that the EU would include SDGs in its next budget for the period 2021-2027. He said that the Western Balkan countries had an excellent and unique opportunity to contribute to achieving goals that would lead to attaining their final goal – i.e. membership in the EU. Fabrizi said that the EU was allocating EUR200 million for Serbia in order to help it join the EU and achieve SDGs as soon as possible. 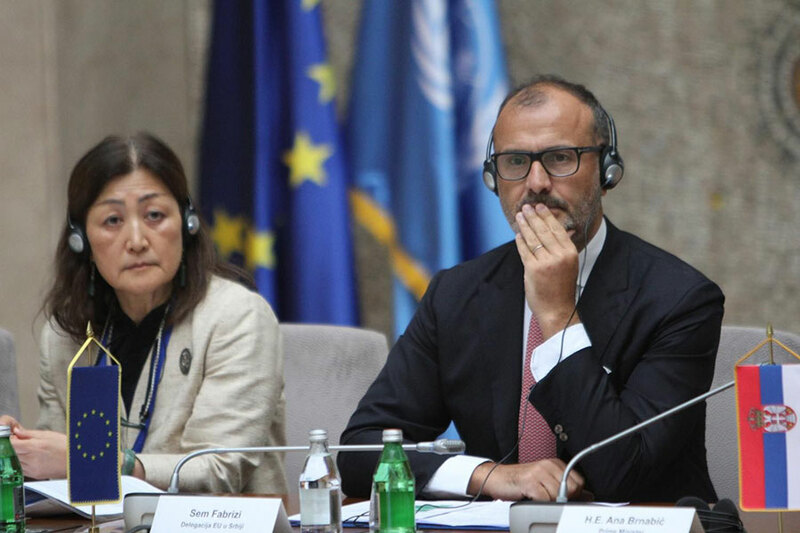 Minister without portfolio and President of the Inter-ministerial Working Group for the implementation of Agenda 2030 in Serbia Slavica Djukic Dejanovic said that the Agenda was essential for bringing about a fairer, more promising and secure future. 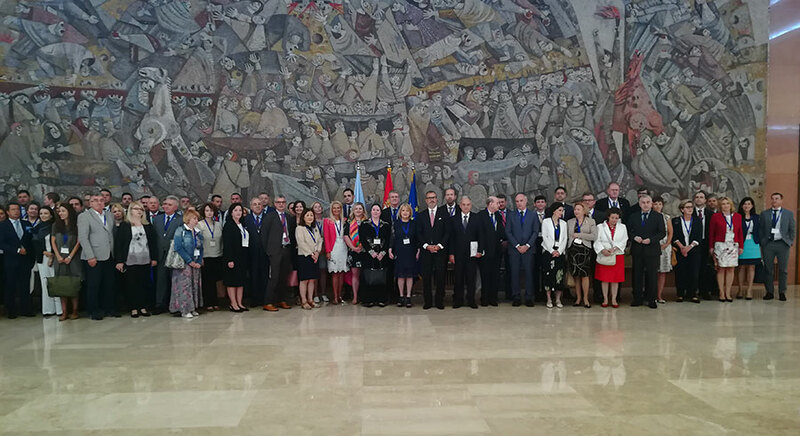 Representatives of regional governments, private sector, international financial institutions and development partners have gathered in Belgrade for a two-day conference on Agenda 2030. The UN Sustainable Development Agenda 2030 was adopted by more than 150 countries in UN’s headquarters in New York in 2015. It covers key elements such economic growth, social inclusion, environmental protection, institutional development and cooperation. There are 17 SDGs, with a total of 169 targets, which should be achieved by 2030.